Tal Rabin joins Israeli aid delegation that left for Guatemala following the eruption of the volcano Fuego. Tal Rabin joined the Israeli Foreign Affairs, National Security Council, Israeli Health Ministry and MDA aid delegation that left for Guatemala following the eruption of the volcano Fuego. The eruption of the Fuego volcano in Guatemala this week caused a serious humanitarian crisis, following which, Prime Minister Binyamin Netanyahu offered humanitarian aid to the President of Guatemala Jimmy Morales. The Israeli delegation, includes doctors, nurses and a Paramedic. 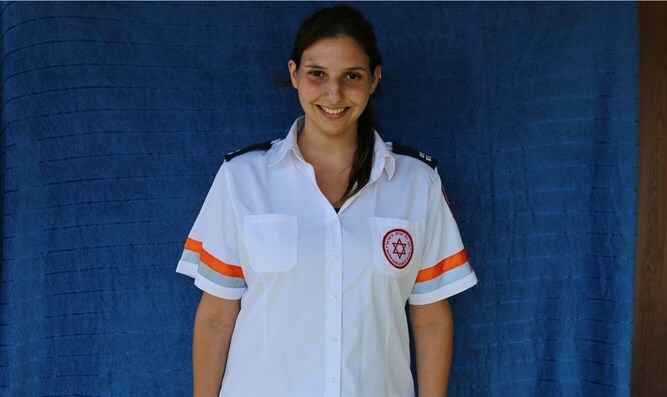 "I am proud to be part of an Israeli delegation that is going to assist the wounded in the disaster in Guatemala," said Tal Rabin, a Paramedic at Magen David Adom who is a representative of MDA and the Israeli Red Cross. “I was offered by MDA to join the delegation and I knew I could not miss this opportunity. I was chosen after years of training in Italy for the treatment of multi-casualty incidents with the Red Cross, and I also gained experience when I went with the MDA delegation to assist in the earthquake in Nepal. " In Guatemala, Tal Rabin will help transfer the wounded to the main hospitals in the country and coordinate the activities of the doctors of the Israeli delegation with the local Red Cross.